The main diagnostic tools for COPD are pulmonary function tests. These tests, which are also used to diagnose asthma (see page 45) and many other lung diseases, measure the ability of the lungs to hold air, to move air in and out, and to move oxygen into the blood. Q: My doctor says I need to have “spirometry.” Can you tell me what’s involved? COPD Diagnosis: What Can You Learn from Screening and Testing? 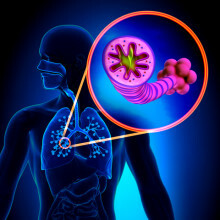 In order to determine whether your lung problem symptoms are caused by COPD (chronic obstructive pulmonary disease), your doctor will perform a physical examination, take a detailed medical history, ask about any history of smoking (or current smoking habit) and other lifestyle issues, and perform a COPD diagnosis.